BentoLunch.net - What's for lunch at our house: A Boring Birthday Bento Lunch, and Cupcakes! A Boring Birthday Bento Lunch, and Cupcakes! So the day after the girl's birthday, she needed a lunch for school. But since it was the day after her birthday, she made mini cupcakes to share with her friends, so she definitely was not wanting a bigger lunch. (Side note: If you haven't been reading here long, she is in high school and they are welcome to bring food to share.). The other thing she didn't know was that I was picking her up immediately after lunch to take her away for a birthday surprise weekend with our besties. So between those two things, her birthday lunch is very very boring. 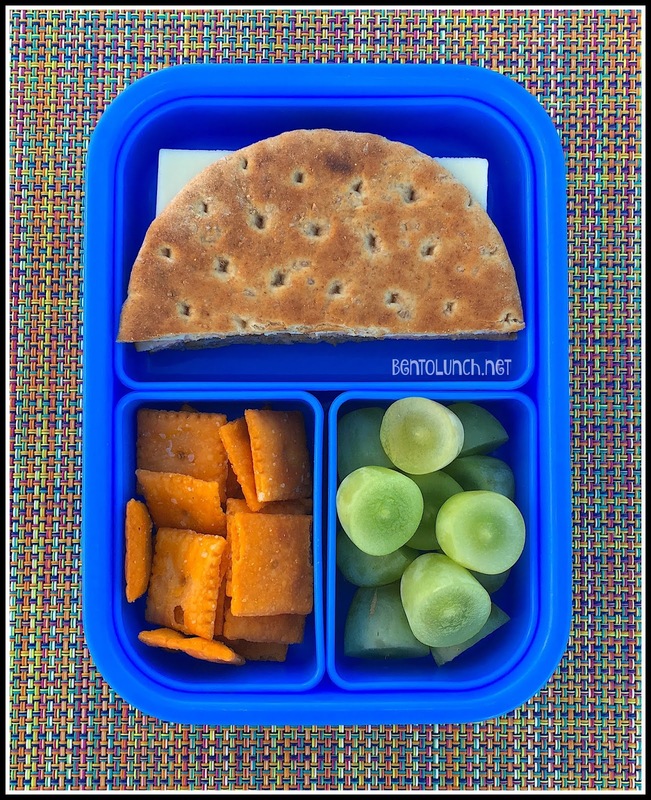 In this lunch, she took a ham and white cheddar sandwich on multigrain rounds. After the photo, I remembered I did have a Happy Birthday sandwich pick, so I put it in to send with her. Since she wasn't packing a lot of food, I used an older box that I love, so the sandwich required being cut to fit in the one half. Had she needed a dessert, I would have added a granola bar there as well. With no separate dessert, I sliced up some grapes and added some cheese crackers for a quick snack. To this, she added a water bottle and some applesauce, but I tried to avoid too much food since we were about to embark on her surprise birthday trip. She did, however, take her cupcakes with her. 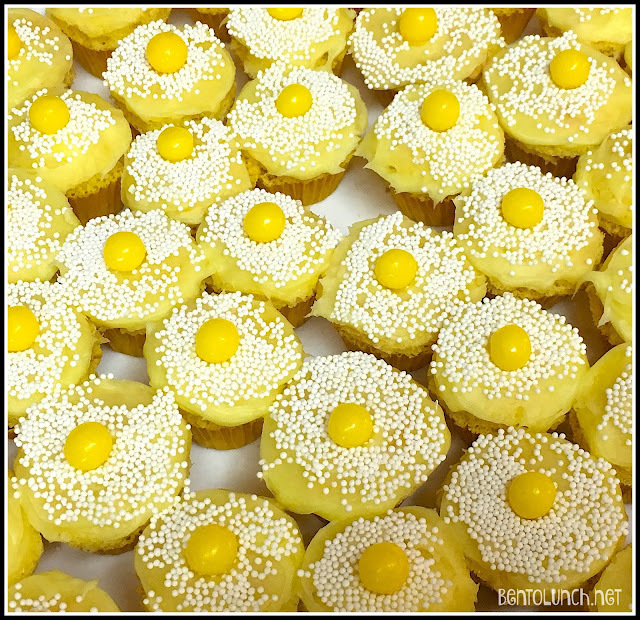 We made mini lemon cupcakes, with lemon icing, little white sprinkles and a Lemonhead candy on top, since that is her favorite flavor. I left a few at home, so I asked her to please make sure her friends finished the ones she took to school. They were the perfect size to make sure she didn't miss any of her friends stopping by her table to get one. Lunch is packed in a Paperchase box that I've had for a number of years. I actually bought it at Borders, so that should give you an idea just how old it is.